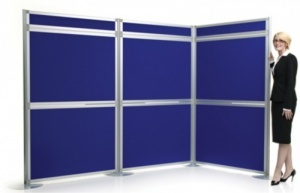 Designed for smaller display panel sets which require collapsing down for easy transportation. 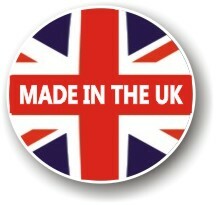 The 1800mm high poles are split into 2 x 900mm height sections. The 14mm thick display panels can be mounted either landscape or portrait. 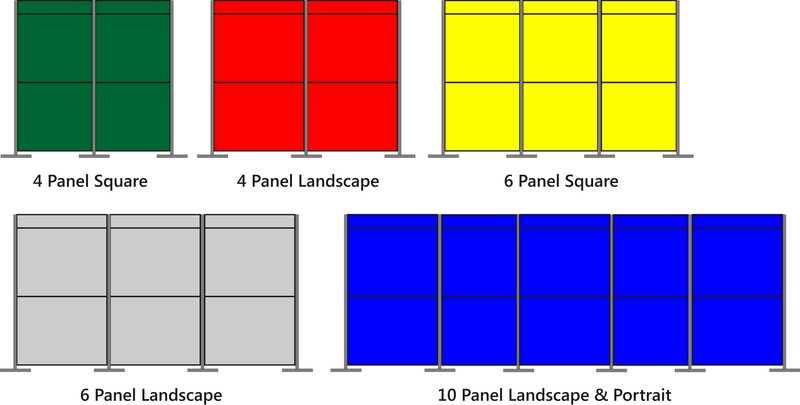 This is a very heavy duty professional large format display system. 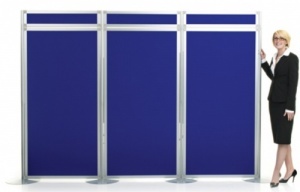 With 14mm double sided display panels you can choose from 10 loop nylon fabric finishes which are colourfast to BS 1006 and Fire Retardant to BS 5867 Part 2 1980. 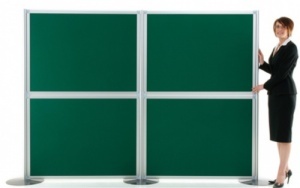 The panels are held securely in place with our lightweight but robust satin aluminium frame profile.